From tracking polar bears across the Arctic tundra to swimming with sea lions in the Sea of Cortez, the world is full of incredible wildlife adventures to experience. If you’re an animal lover, you won’t want to miss these unforgettable wildlife vacations. 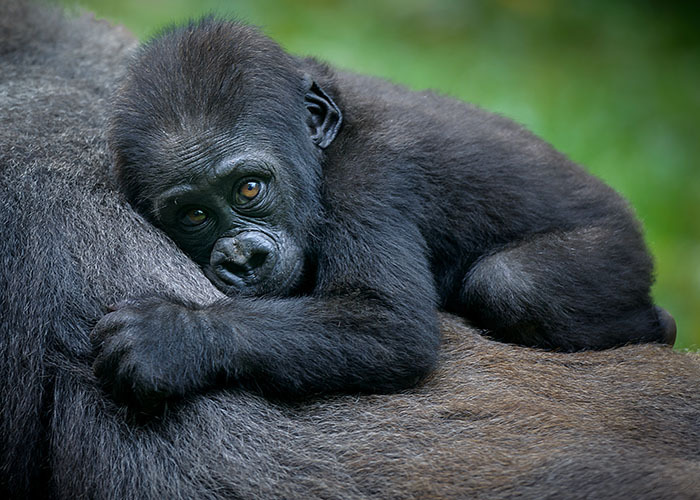 Imagine crouching in a dense green forest just a few yards away from a mother gorilla cradling her baby or a 400-pound silverback foraging for food. There are only about 880 mountain gorillas left on the planet, and Rwanda and Uganda are the best and safest places to view them. Uganda is a better option for travelers on a budget, as permits and accommodations tend to be cheaper; it’s also easy to add other adventures onto your wildlife trip such as spotting lions and elephants in Queen Elizabeth National Park. Meanwhile, Rwanda has better infrastructure, shorter driving distances, and the chance to see playful golden monkeys. How to get there: In Rwanda, consider basing yourself at the high-end Virunga Lodge, which boasts lake and volcano views and will arrange treks in search of gorillas and golden monkeys. In Uganda, the recently renovated Bwindi Lodge features butler service for all guests and grounds where gorillas often roam. Both lodges are operated by Volcanoes Safaris, which offers four- to seven-day tour packages in Uganda and Rwanda.